Hey Loves! Today's post is something I don't normally do.. but I just feel like I wanted to share what is inspiring me for this spring! ( FYI: NONE OF THESE PHOTOS IN THIS POST ARE MY OWN I borrowed them from Pinterest & Tumblr) I hope they inspire y'all & start thinking about spring fashion! EEK! Hope everyone is having a marvelous week<3 love y'all! 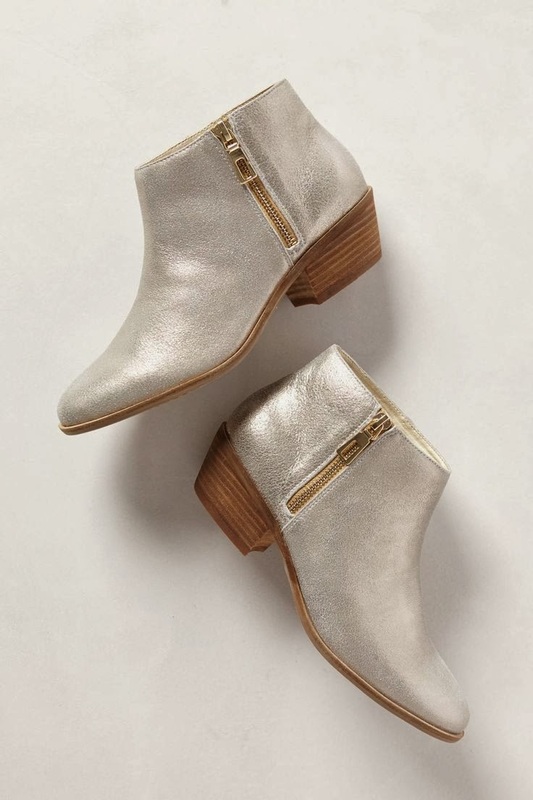 y'all know I am OBSESSED WITH BOOTS & these ankle booties are major! 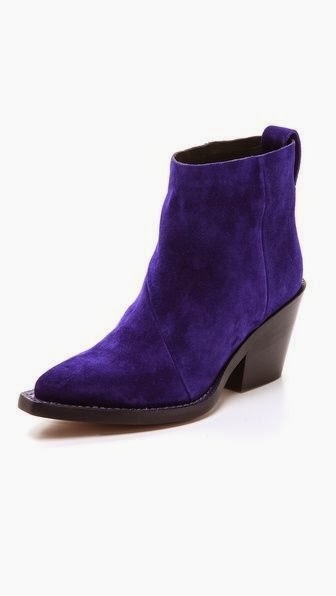 I adore the color & they are suede.. perfection. 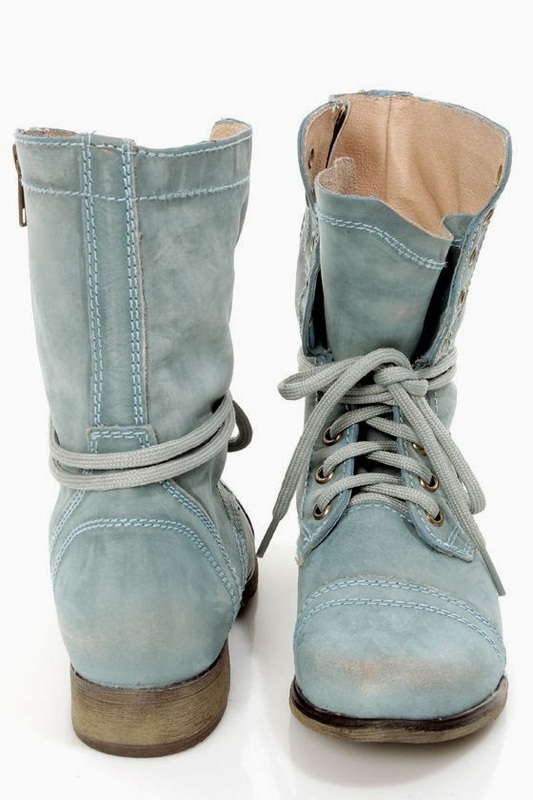 I love these Troopa boots.. and the color is just beyond... I need them if anyone knows where they still sell them please let me know IT WOULD MAKE ME WEEK! I always say stay true to you & yourself.. and this spring I don't want to change my obsession with rings.. All my rings that I wear all the time are super special to me & each have a meaning behind them. 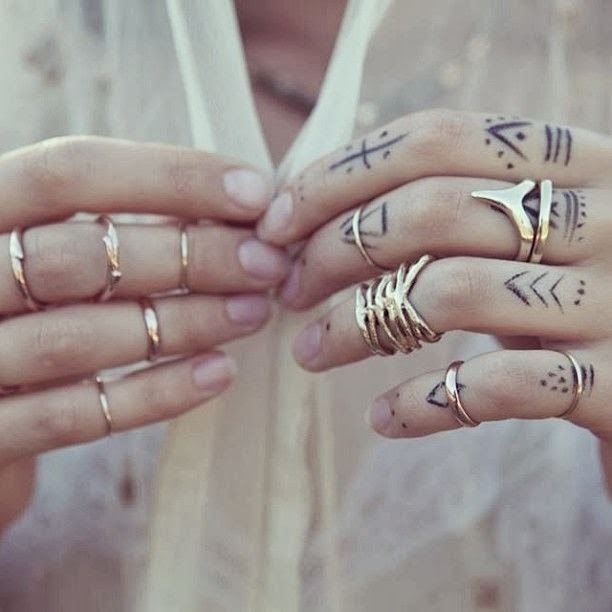 I love stacking rings & I don't see my love for rings stopping anytime soon! I know everyone gets tired of black.. but again I don't know why but Black is one of my favorite colors.. probably because it accentuates any accessories you have & your hair & makeup, black is my safe color.. it makes me feel comfortable, relaxed & just chill. 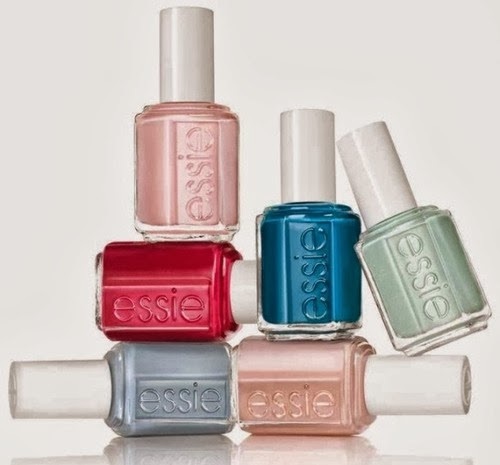 I love these Essie nail colors.. they SCREAM spring to me! 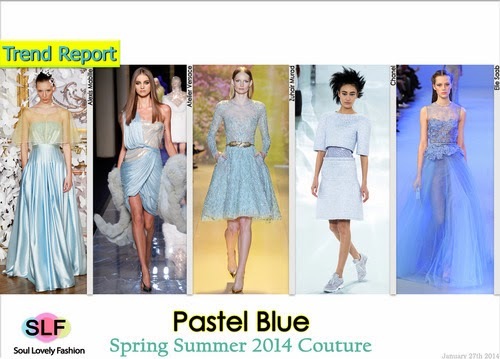 Spring Fashion both street & runway fashion for 2014 I love it all, and the colors are spectacular! Anyone that knows me knows I love blue.. especially aqua, teal, sea blue, sea foam, anything light blue always brings out my eyes & its one of my favorite colors! 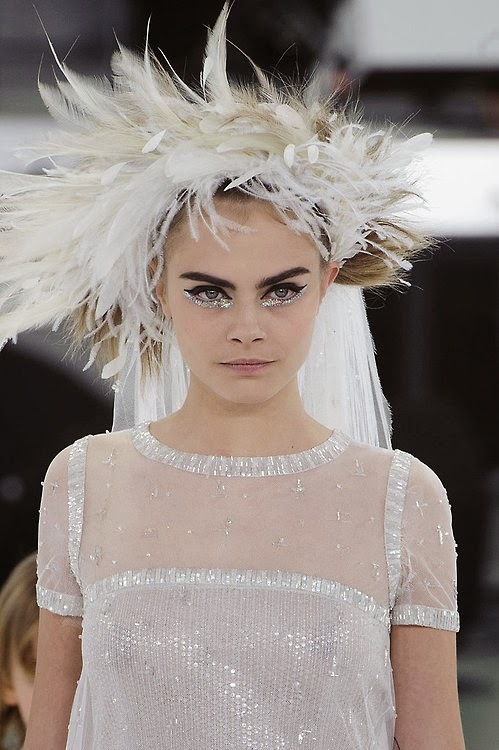 I love this runways dress.. the feathers, sparkle & gold is just fabulous! 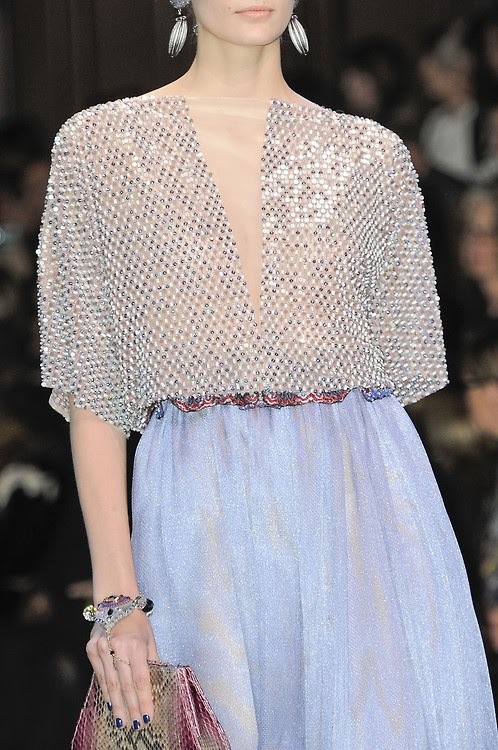 Chanel always goes above & beyond I love it it is always fierce but the collection is just beyond anything imaginable! Lavender is one of my favorite colors right now.. it is so elegant, sweet & pure! 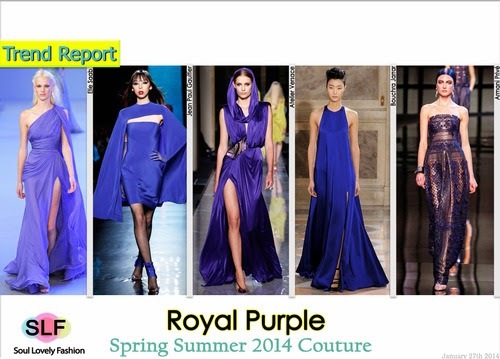 All of these trend report photos I adore! 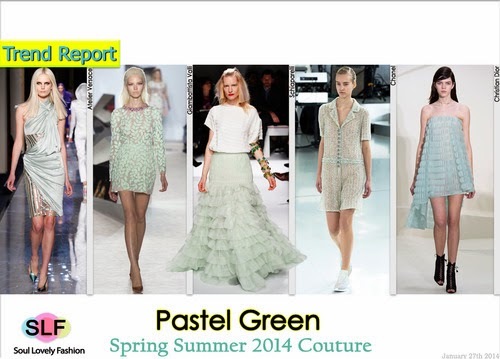 The colors are totally in a my mind for my spring color palette! I have always LOVED BIG SUNNIES.. and I AM ENAMORED BY THESE! 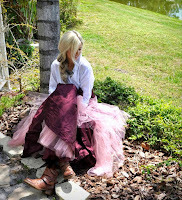 I just love the picture below mixing of textures a regular tee & a beautiful tulle skirt.. just magic. Thank you!!! I just thought I would mix it up a bit and bring in some spring inspo!!! I have to wear black every day for school and so far and not sick of it! I love black! And all those Essie colors are so cute! I live in black.. like its my favorite color to wear... aqua is my favorite color in general but black is just my go to comfort color & it always brings out your accessories , hair & makeup! 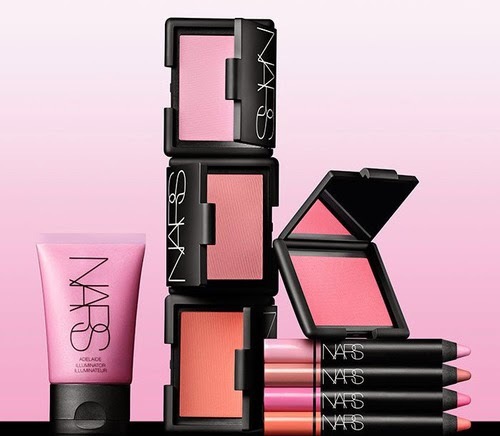 you just put me on spring mode, love all your picks and need the first nail polish. I want all the nail polishes! haha I have a slight obsession!!! 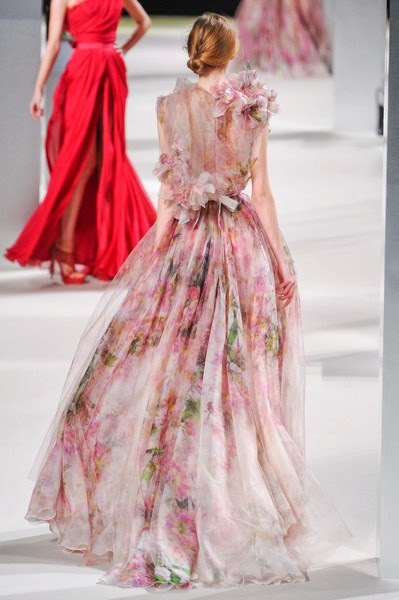 This is EXACTLY what I was looking for in a Spring 2014 blogpost and I found it! I'm most excited for bold patterns, pastels again, and the booties!! !